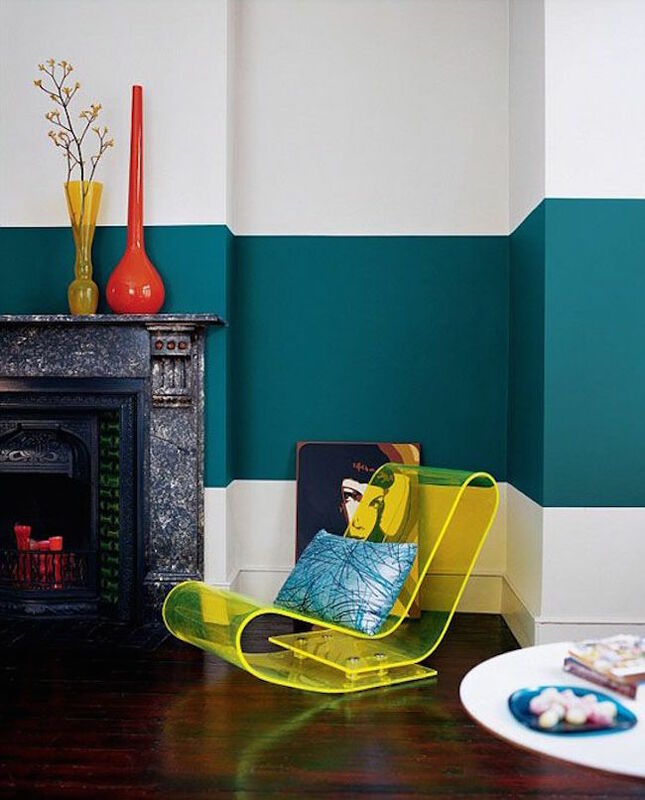 Color blocking doesn’t just belong in the fashion world. 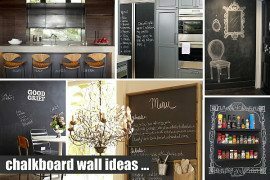 In fact, it’s one of the most stunning ways you can really make a statement in any room without having to hang wall art or find tall furniture pieces to make a bland wall look less bland. 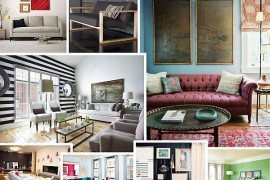 It usually involves pairing contrasting colors, or colors you wouldn’t normally put together, to create bold focal points. 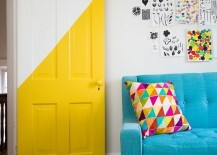 If you’re a fan of bright colors and geometric effects, then this trend is definitely up your alley! 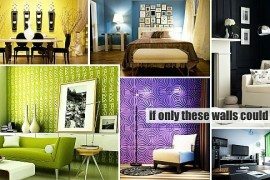 Have a look at some of the following color blocking wall ideas that will totally blow you away. 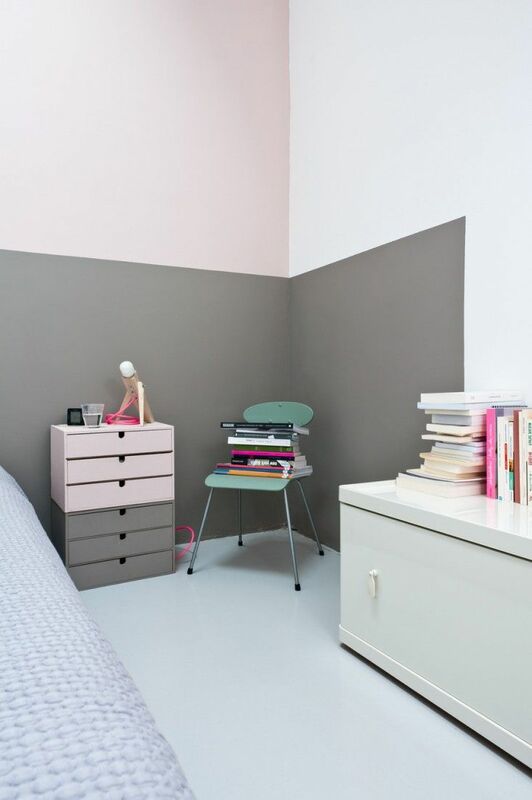 One of the easiest ways to use the color blocking technique on the walls of your room is to simply keep the walls a white or very neutral color, and then pick a very bright or significantly darker color to paint halfway up the wall. 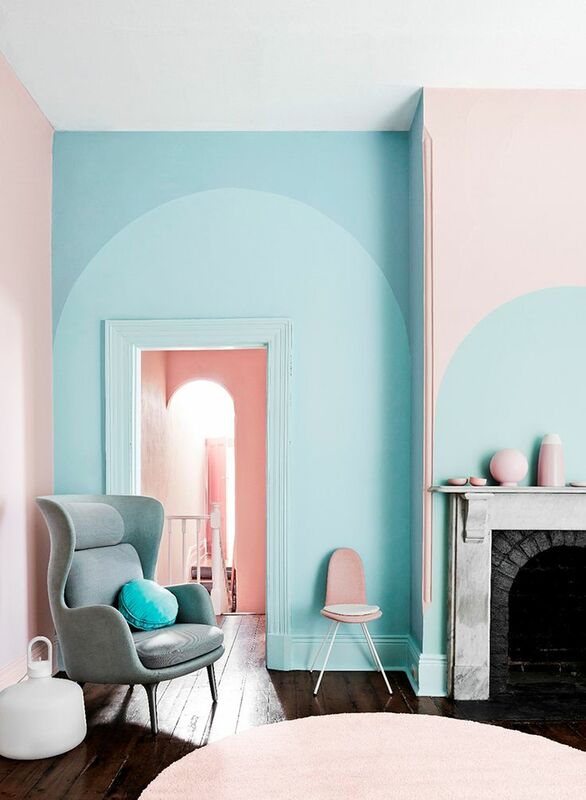 Remodelista shows you how to do it with gray, while Sugar and Charm demonstrates how to do it with brighter colors like pink and yellow. 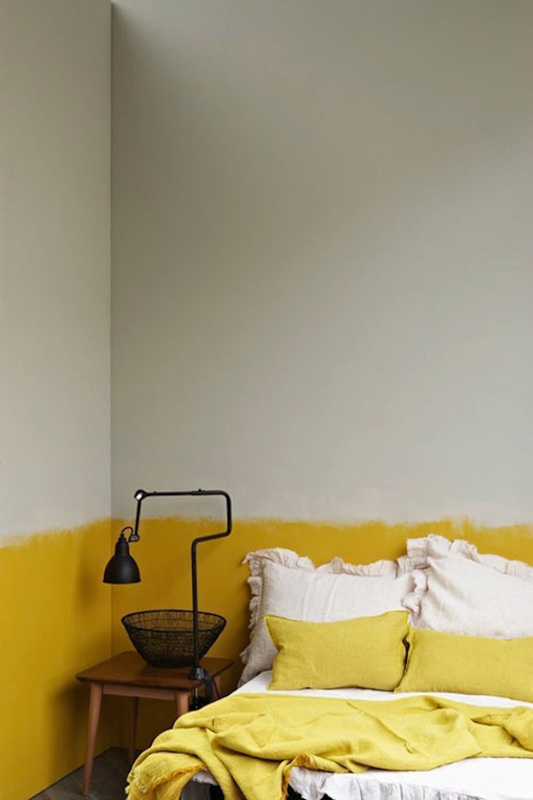 If you’re not quite too fond of the slightly distressed yellow color blocking example above, Atelie R. Ruvette uses almost the same color and wall height for a straight-lined color blocking technique below. 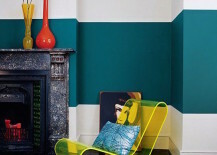 Nobody ever said you had to limit your color blocking to just the walls. 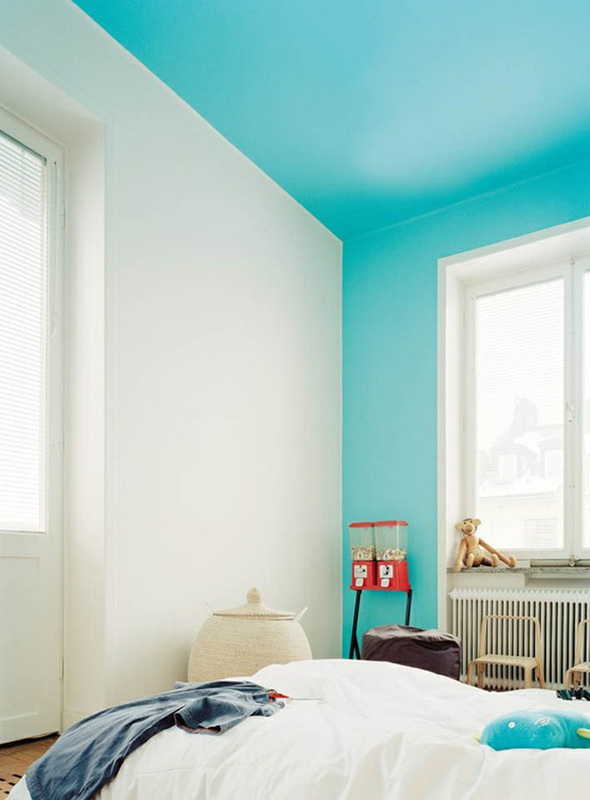 Have a look at this blue wall and ceiling featured on Plenty of Color. 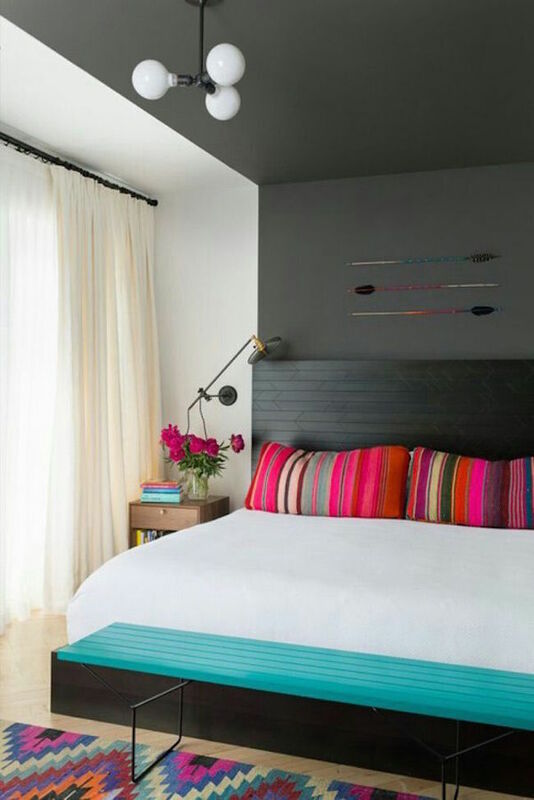 You can use the same effect to create an interesting looking framed area for a bed, like this one from Refinery29. 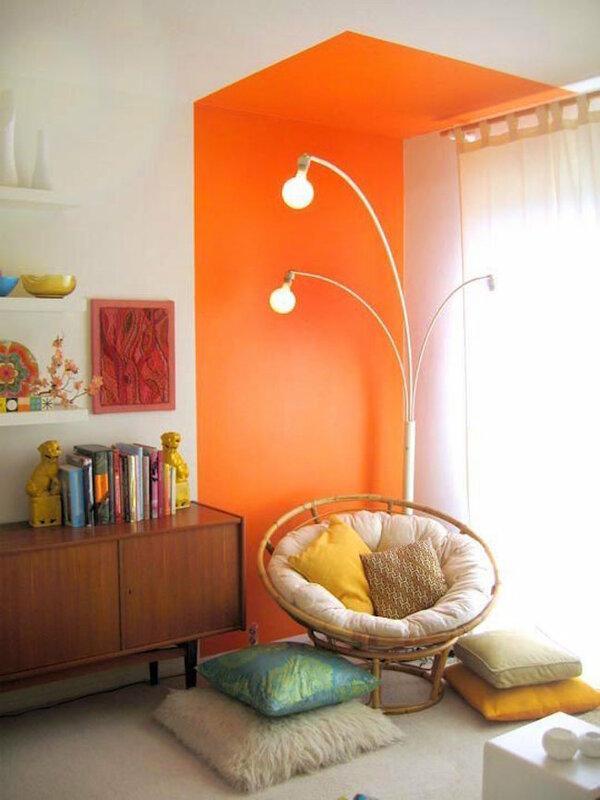 Or you could use color blocking on a smaller scale like this cool orange color blocked reading nook that stretches its shape to an area on the ceiling (in the home of Happy Mundane blogger Jonathan Lo), featured on Apartment Therapy. 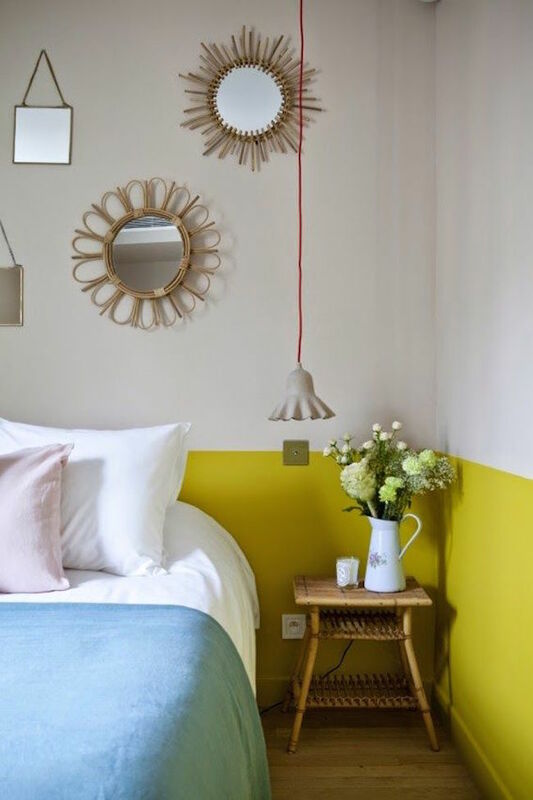 And lastly, why not just forgo most of the wall space altogether and instead paint your ceiling (and perhaps a few inches of upper wall space too) a bright color? 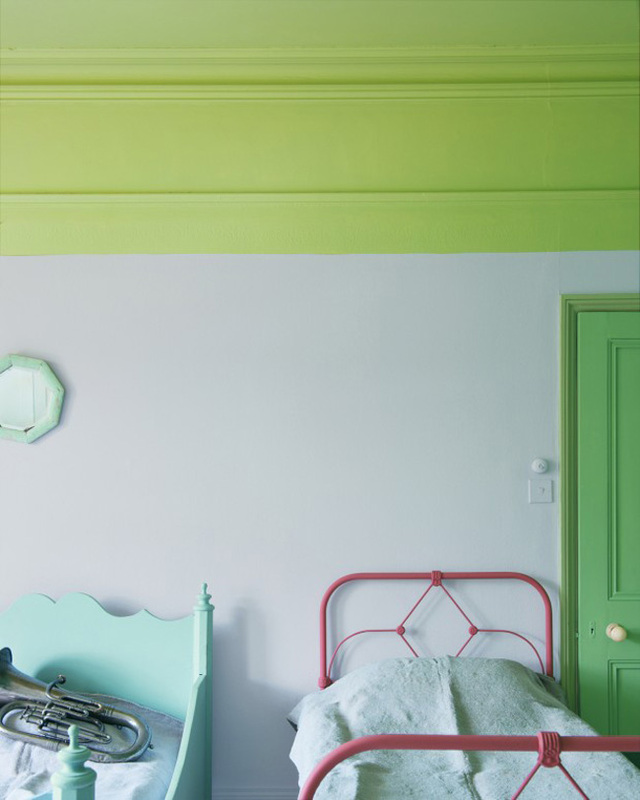 Bright lime green or a turquoise/sea green (again from Plenty of Color) are a couple ways to do it! 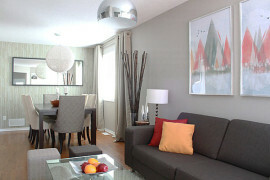 A great option to highlight crown moulding and other architectural details. 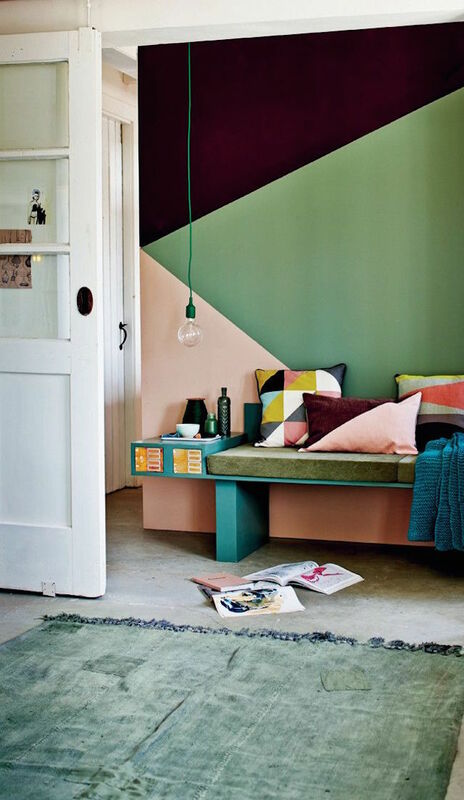 One of the best things about color blocked walls is that you can get creative with your shapes and lines. 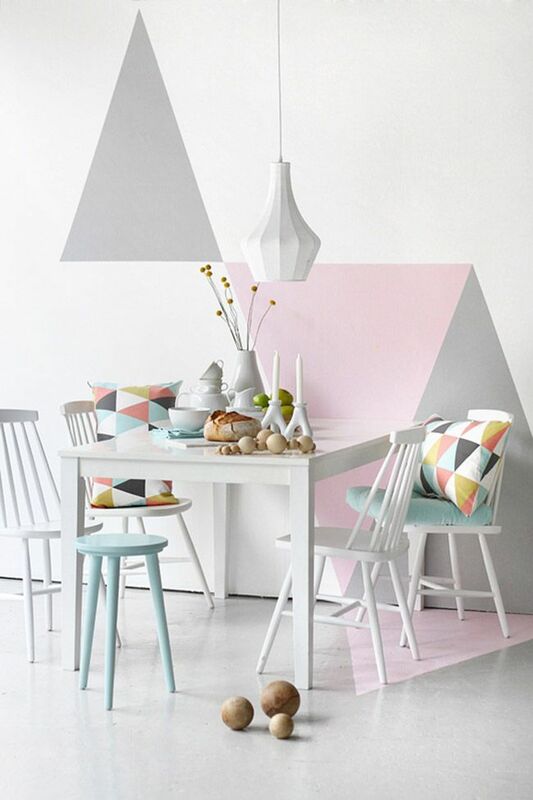 This example of a workspace from Brit.co features funky looking shapes in light and dark colors that create a very geometric, slightly triangular look. A similar effect is created with different colors in the following example from VTwonen. 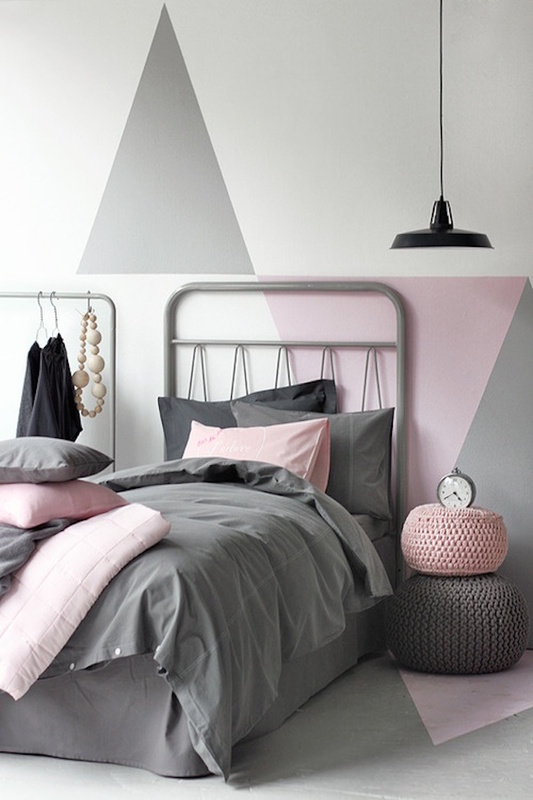 If triangles are your thing, then you have to have a look at this beautiful bedroom paint job from Archana, which perfectly matches the pink and gray decor too. 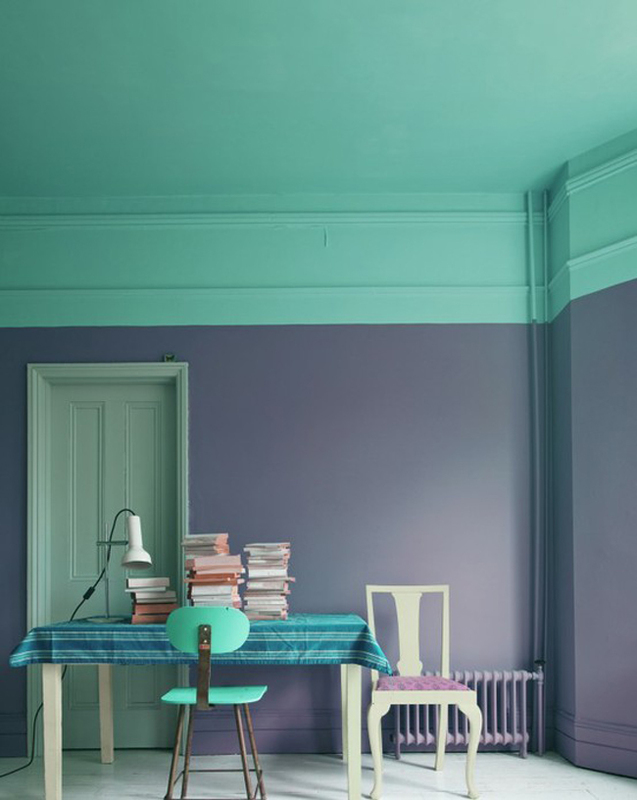 A very similar look with almost the same colors is created in a dining area from Poligom. 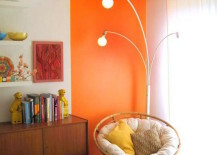 Another great option you have is to paint out a rectangular shape on your wall to highlight a certain area. 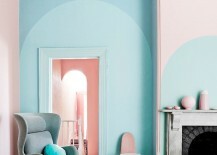 Vintage Revivals has a fabulous example for a plain white wall in a living room. 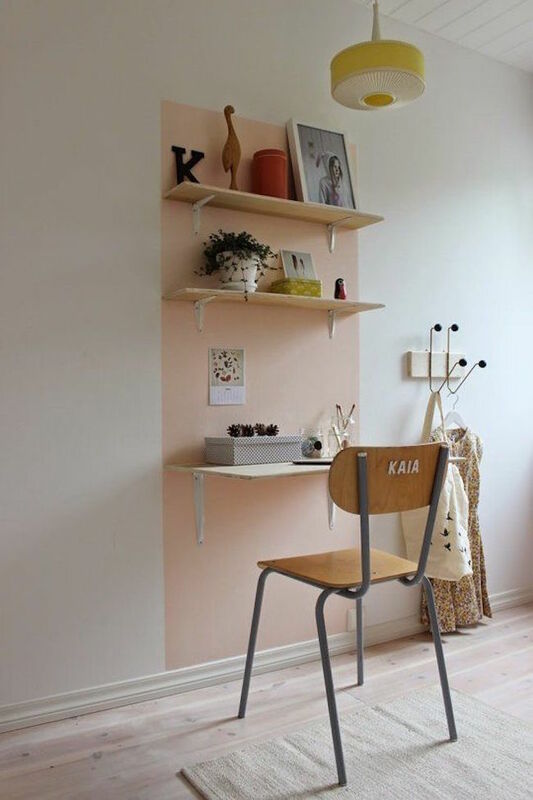 Similarly, MobelPobel uses the same idea to highlight a shelved area of the wall for a home office. 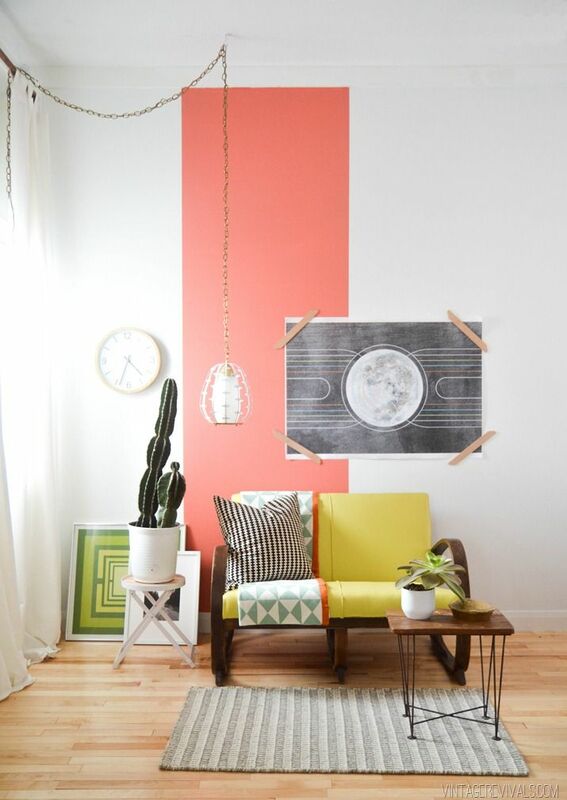 An alternative to color blocked vertical rectangles is to make it stretch across the room horizontally, like this one from Bright Nest. 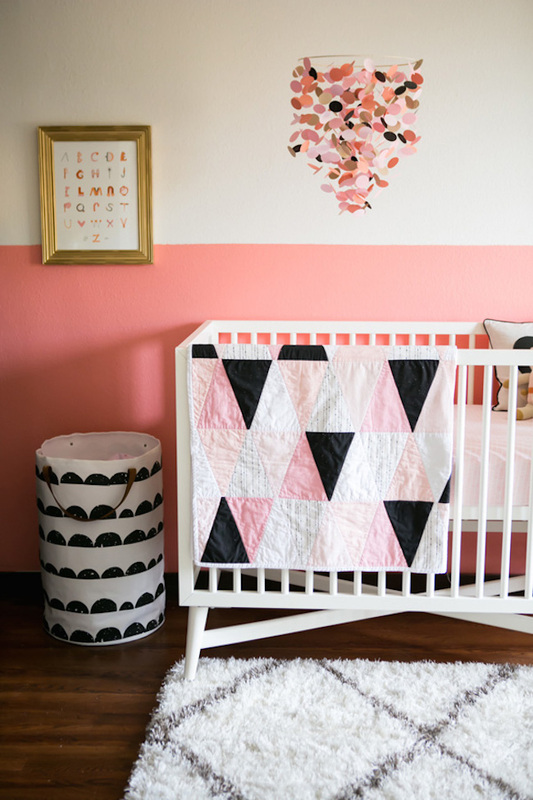 Feeling a little funkier about the shapes and designs you can create? The possibilities really are endless. 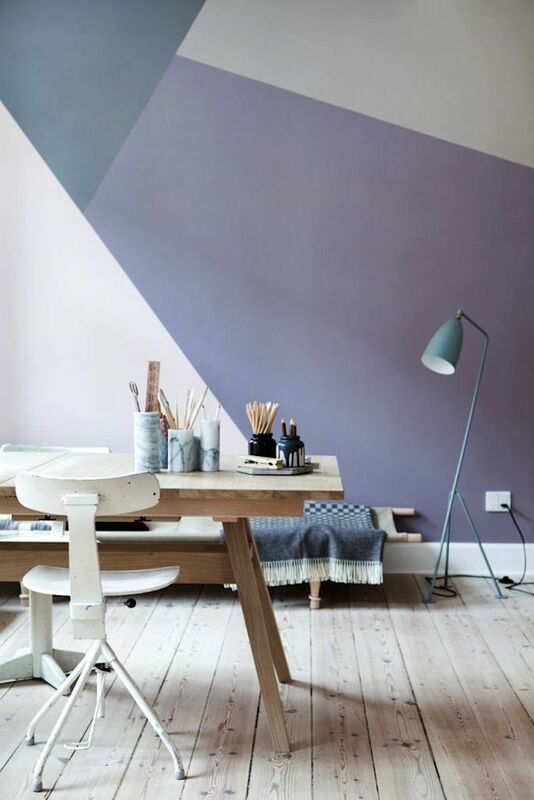 From the Design Chaser, you’ll see these great geometric oval shapes that use a darker purple area to represent an overlapping effect. 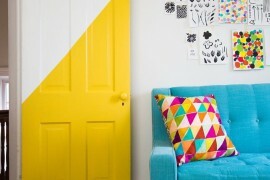 You could even use color blocking to create the illusion of archways on the walls above your doors! 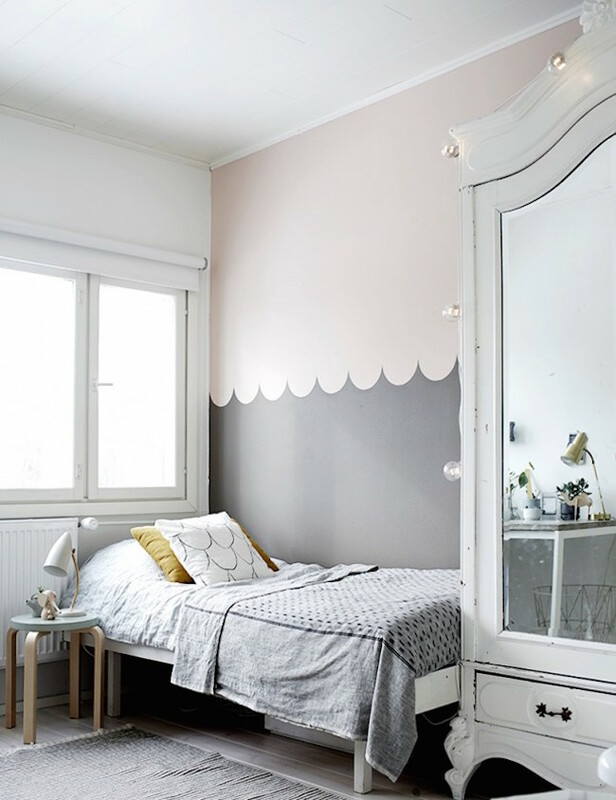 And for seaside inspiration, creating a design made to resemble waves is a gorgeous alternative to straight lines. 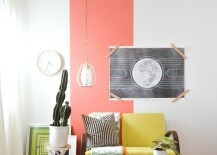 There’s no way you have to limit color blocking design to just your walls and ceilings. 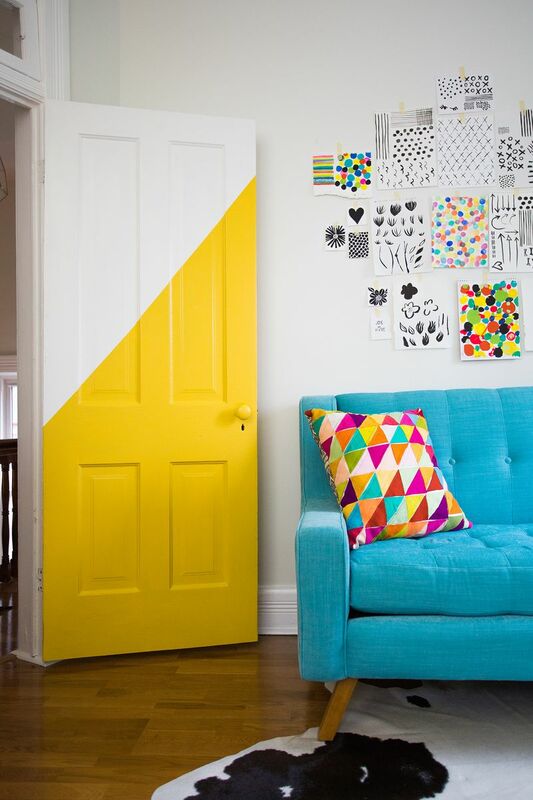 The door can be a perfect focal point of bright and bold color when the rest of the room is relatively neutral. 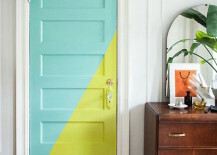 This teal and green door from Paper n’ Stitch virtually transforms the room and almost gives it a bit of a tropical feel. 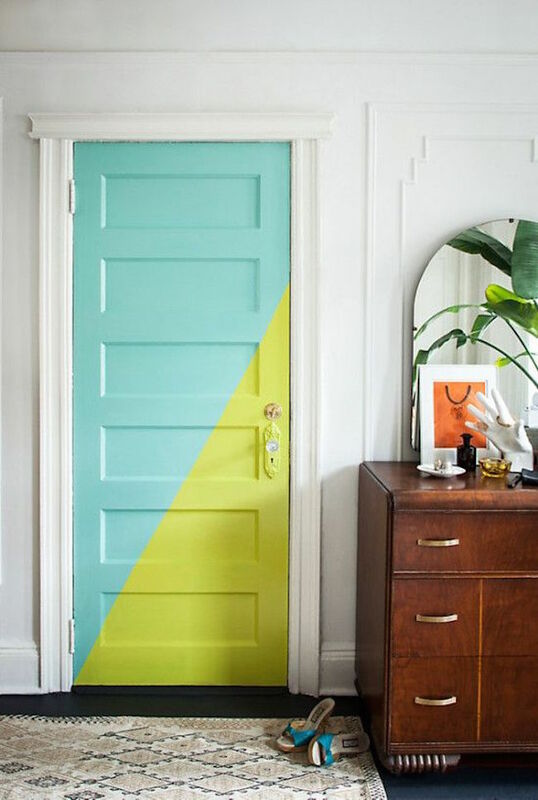 You could even leave half of the door neutral with the other half brightly colored — like this yellow one from A Beautiful Mess. And finally, why not just paint the whole thing? 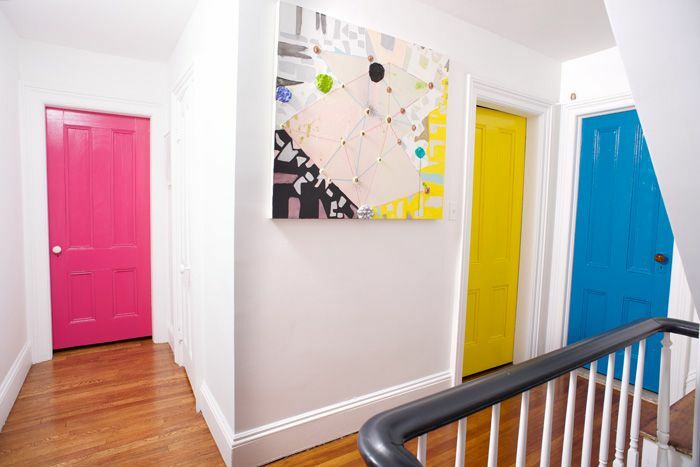 These doors painted in different bright colors featured on Design Sponge really stand out against those white walls!